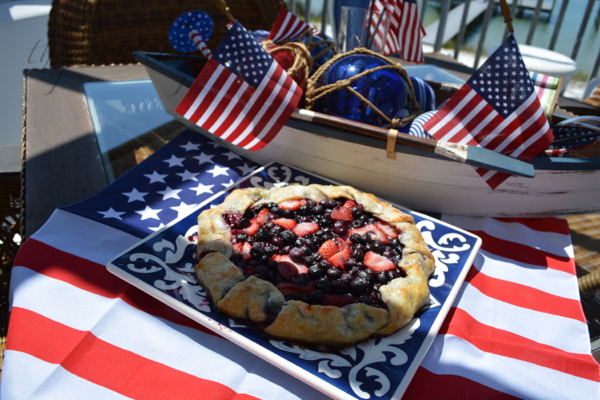 Get out your red white and blueberries! 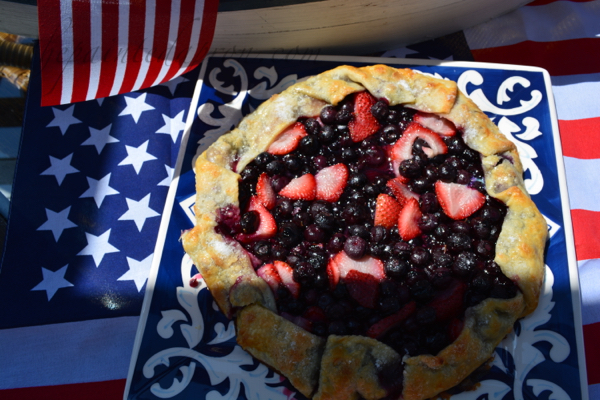 You can whip this up in no time to enjoy today! 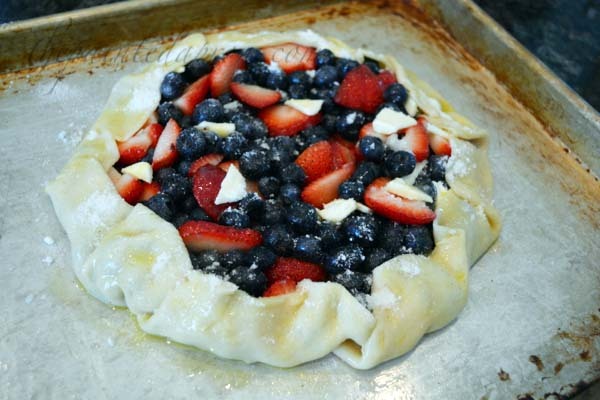 You will swoon with delight when you taste this! 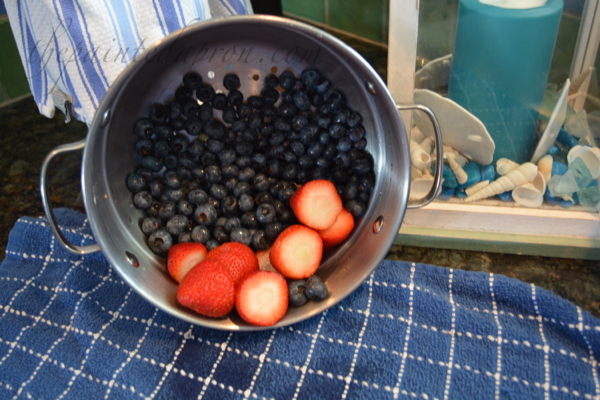 Wash berries. 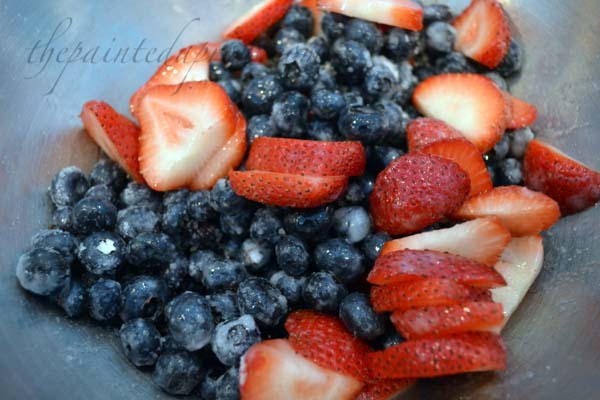 Slice strawberries. 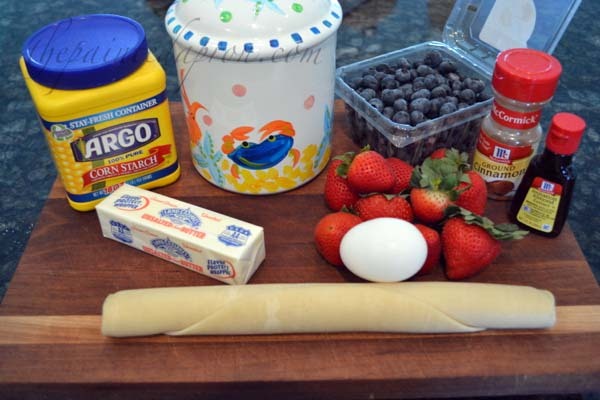 Mix cornstarch and 1/3 cup sugar. 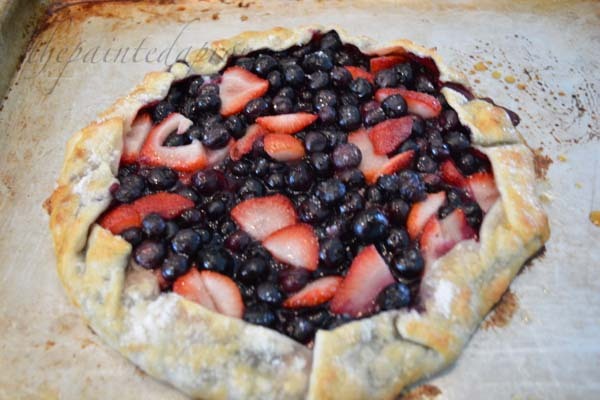 Toss with berries. 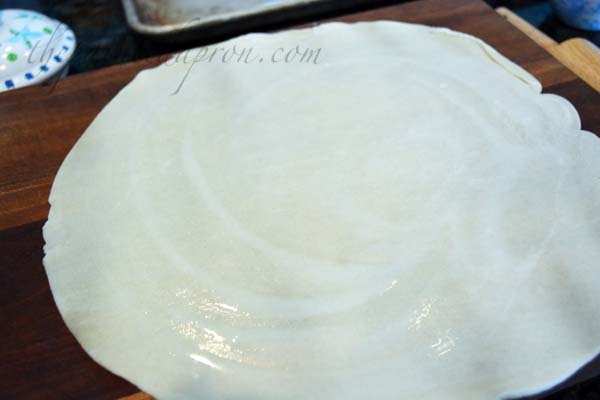 Lay pie dough out on a silpat or parchment paper lined baking sheet. 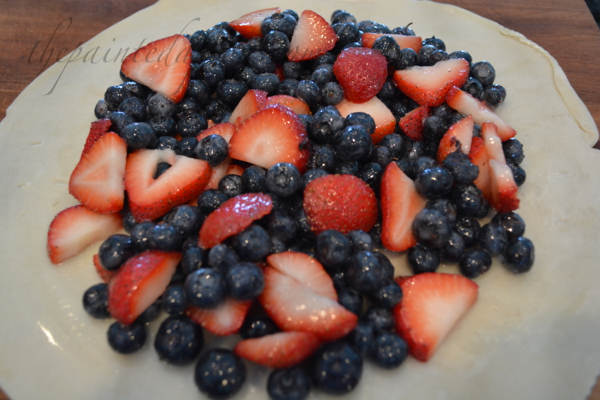 Place berries in center leaving a 1 inch border all around. 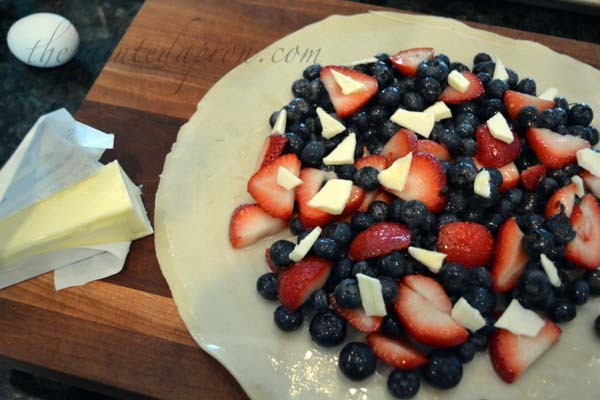 Dot berries with small pieces of butter. 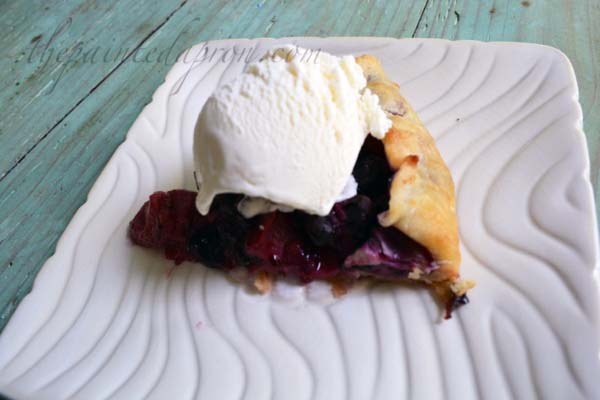 Fold edges in making pleats every few inches, encircling the berry filling. 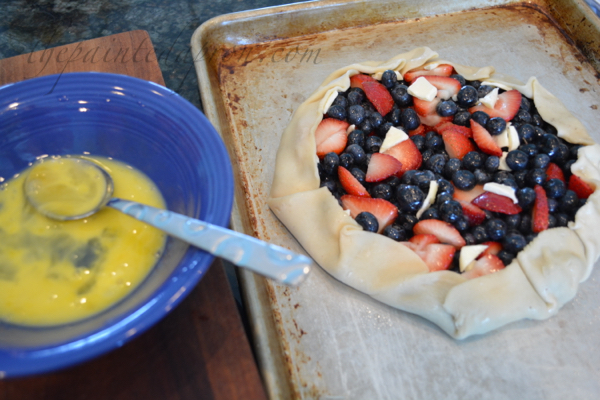 Brush crust edge with beaten egg and sprinkle with reserved sugar. 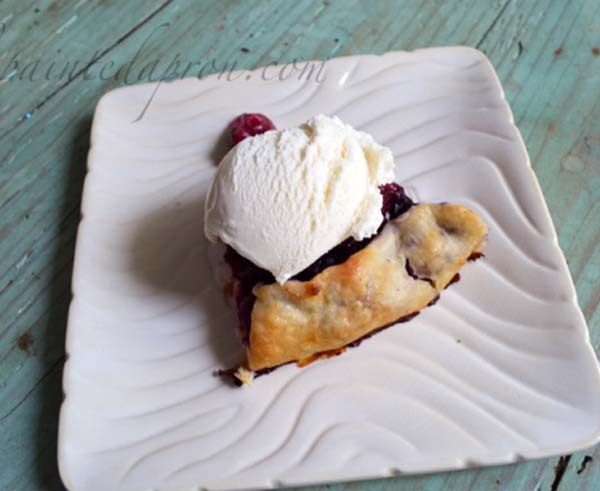 Yummy…I always have those ready made pie crusts on hand, otherwise there would never be any pies in this house! 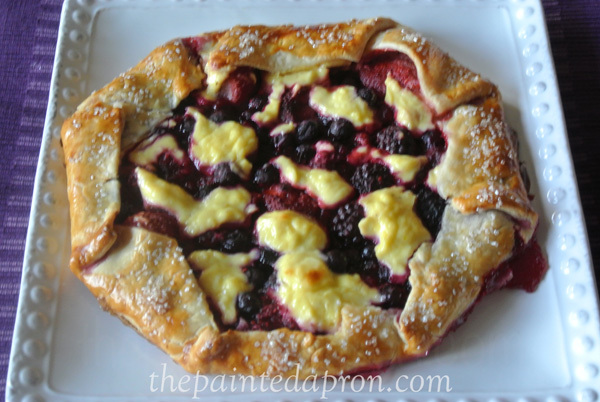 The cheesecake galette sounds really good. Have a great week, Jenna. Lovin’ the almond extract tip! Happy Flag Day Jenna, it’s been a beautiful weekend here but heavy rain is moving in… My flags have been put away for now:@) Have a great week! 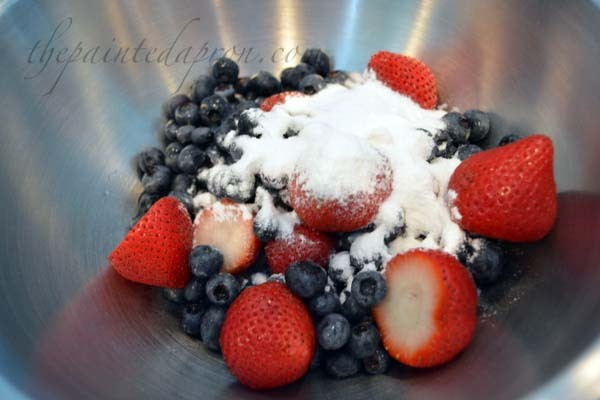 This is the prettiest and easiest looking berry recipe I”ve seen in a long time. 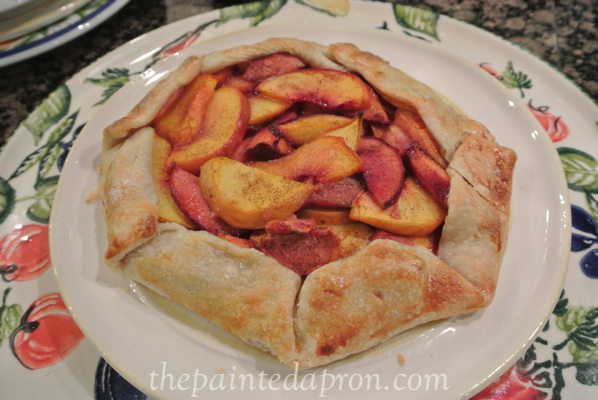 Looks so yummy and I love the tip to brush the pastry with the almond extract. Love you food photography Jenna. 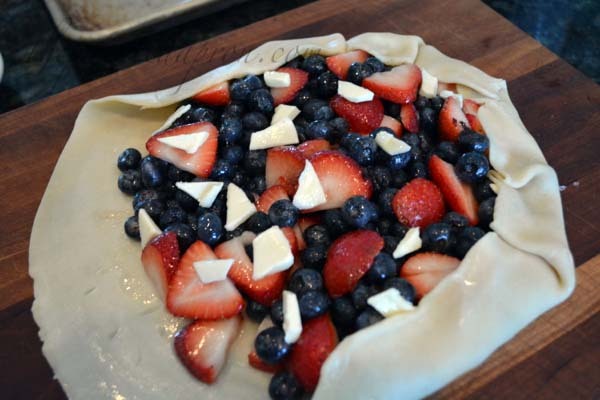 I just made a fresh strawberry pie yesterday, Jenna, and now I’m ready to make your crostada! 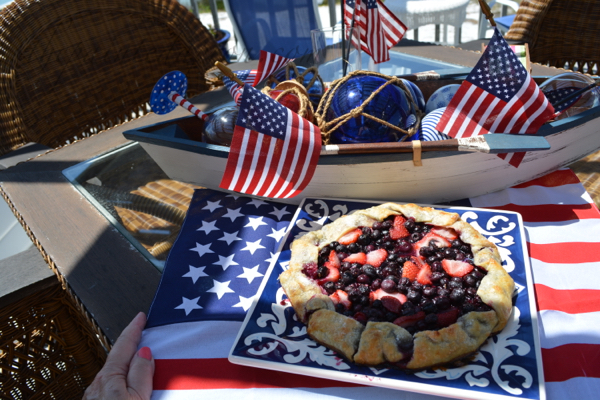 It looks fabulous and perfect for a summer treat. Yum!